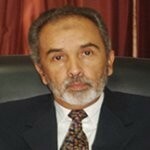 almotamar.net - An information source at he General People's Congress (GPC) on Friday commented on statements by Deputy Chairman of the Higher Committee of the Yemeni Congregation for Reform (Islah) party Mohammed al-Yadoumy by expressing surprise of the statement after a long silence. He said at last al-Yadoumy has broken his silence to call on the authority to stop confronting activities related to violence, adding that al-Yadoumy who is obsessed by reaching power has unmasked his face. He wants to attain power not via polling boxes but rather through fomenting chaos, sit-in and demonstrations.